Remember the scene in the movie Fried Green Tomatoes in which Evelyn Couch declares that she cannot even see her own…well, you know? If you don’t remember or haven’t seen the movie, let me explain. Evelyn’s put on a few pounds. Over time her belly pooch has grown and she now has a muffin top more like a mountaintop. It obscures the view of her…well, you know. It’s a memorable scene that has stuck with me over the years. For the sake of decency, I will not get into the minutiae of my pondering of Evelyn’s plight. Whether or not you have a tummy roll, or what my mother always called midriff bulge, I don’t think any of us want to find ourselves in Evelyn’s predicament. This is where yoga and workout videos for women over 60 who want to look hot come in. If you have some weight you want to lose, this is where a healthy diet and regular exercise comes in. But you don’t need me to tell you that. You already know what you need to do. 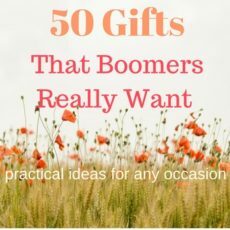 However, as a woman over 60 and a self-reliant rebel retiree, (check out this article where I list some other ideas for living minimally) I can encourage you to exercise at a price that will cost you nothing, except the discipline it requires to get it done. Are you ready to get rid of your costly gym membership and work-out in your jammies in the comfort and privacy of your own home? Great! Below are my four go-to Youtube channels for complete exercise routines at home. Three of them are my preferred yoga instructors and the 4th is my best-loved source for cardio, HIIT (High-Intensity Interval Training), and strength training. Brett Larkin has come a long way since my daughter introduced me to her videos several years ago. No longer the shy and awkward yoga teacher, Brett has grown comfortable in front of the camera and is a polished instructor with a substantial social media following. She is my absolute favorite yoga instructor because of her well-rounded style. Brett explains everything. There is something for everyone on her channel; from beginner to advanced yogis. You can also listen to her podcasts where she shares personal accounts of her yoga and meditation practices. Getting on the mat with Brett Larkin Yoga always leaves me feeling peaceful, yet energized. I practiced yoga for a long time without a mat, but I can assure you that a good non-slip mat makes a world of difference in your safety when holding poses, and in achieving the results you desire. Another great instructor is Candace. When I want an easy-going style that delivers a challenge, I go to Yoga by Candace. As you know, balance can become an issue with age, and yoga is immensely helpful with this. Candace’s classes for balance are excellent! Choose from a large selection of videos of various lengths to improve your flexibility and strength. Candace is serious about her work, and if you want to stretch your limits, check out Yoga by Candace. As a self-reliant retiree, you can use what you have around the house such as books, belts, and sashes to help you balance and extend your reach, but yoga blocks and straps are extremely helpful. Yoga With Adrienne is on my list of favorites because of her relaxed and unpretentious style. Getting on the mat with Adrienne is like practicing yoga with a close friend. Adrienne is funny and quirky. A lighthearted morning practice with her has you raring to go on with the rest of your day. “WELCOME to the YWA channel! Welcome all levels, all bodies, all genders, all souls! Find a practice that suits your mood or start a journey toward healing. Work up a sweat, or calm and relieve a tired mind and body. Create space. Tone and trim. Cultivate self love. Make time for you. Go deeper, have fun. Connect. Fall off the horse and then get back on. Reconnect. Do your best, be authentic and FIND WHAT FEELS GOOD. I got your back and this community rocks. Jump on in! You don’t even have to leave your house. As mentioned earlier in this article, you can practice yoga and work-out in your pajamas, but wearing the correct clothing is an easy, yet powerful way to get into the proper mindset. I first started working out with Fitness Blender’s videos about 6 years ago because they offered full length, no-nonsense workouts for free. Admittedly, they were rather boring. Kelli did the exercises, while Daniel narrated the instructions off camera. Although I worked out to other videos, I always found myself returning to their Youtube channel because of their effective workouts and approach to fitness. Over the course of 6 years, this husband and wife team has evolved. Their online fitness business has exploded and their Youtube channel has over 4,000,000 subscribers! Their channel includes a variety of workouts from low-impact to advanced. I think you are going to love Daniel and Kelli as much as I do. I absolutely love Daniel and Kelli’s “Workout Challenge for Busy People”! Get started with Day 1 below. Strength training – Improve your appearance, lose fat, and stay strong as you age. I use cast iron and neoprene coated dumbbells, with a preference for the coated variety. As a Rebel Retiree, it’s unnecessary to pay gym memberships, coaches, or exercise gurus in order to get in shape. The internet is rife with videos to choose from. Opportunities abound for providing effective, yet completely affordable methods for staying fit. Yes, it requires discipline and some days it may be difficult to muster up the motivation to workout at home. But it’s always worth it. ← How Can I Retire Happy? Get Your Wife On Board!